Who says pirates don't sleep? 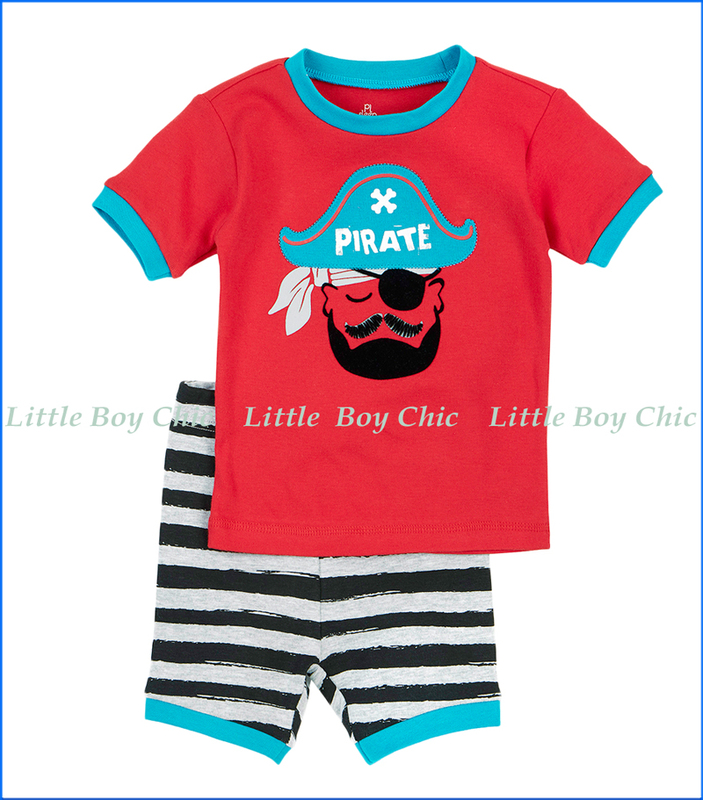 Slumber away on the high seas in this short sleeve (S/S) top pajama set with knit stripe shorts. Applique sleeping pirate with mustache. Black and grey stripe shorts. Elastic waist and constrast ringer neck, sleeves and cuffs. No tag on neck to irritate.